Sacramento, CA – It could have been a Dakota. But when Fiat Chrysler re-entered the mid-size pickup market, it chose not to revive a brand last seen in 2011. Instead, it’s offering something designed to get tongues wagging. 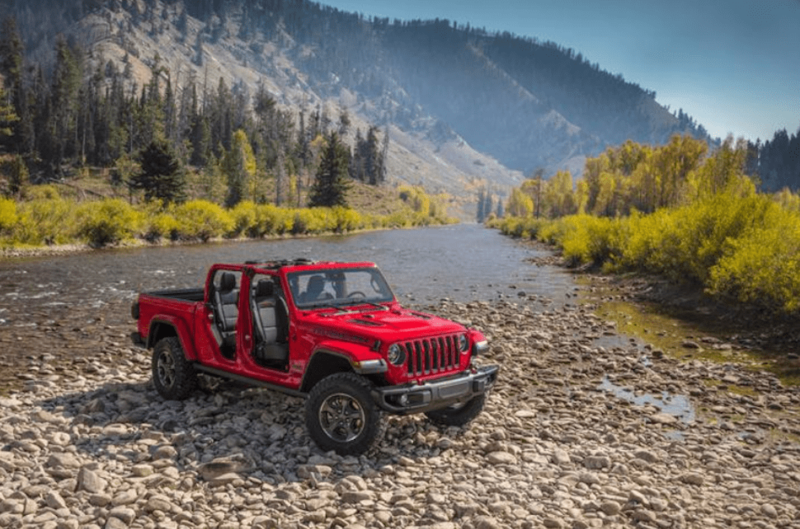 The result – the 2020 Jeep Gladiator – officially introduced late year in Los Angeles, looks like nothing else in its category. In fact, it looks a lot like a Wrangler with a cargo box tacked onto the back, although company officials insist it’s much more than that. 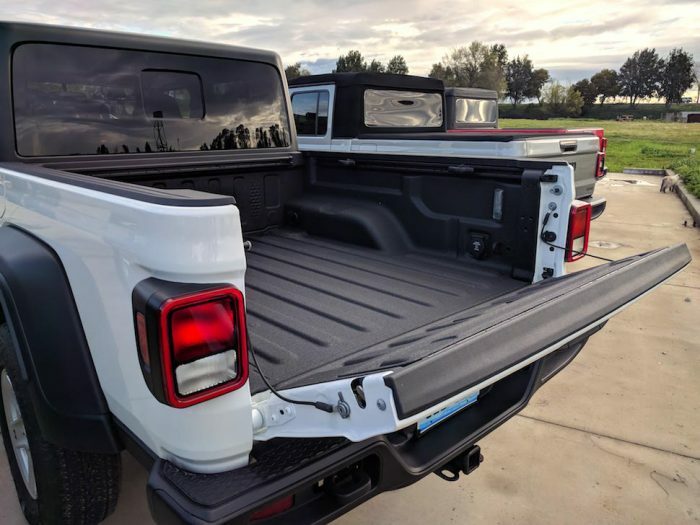 “The Gladiator is not so much a Wrangler with a bed put on it as it is a truck with Jeep DNA,” says John Mrozowski, vehicle line executive, at the vehicle’s recent unveiling near Sacramento, CA. The resulting macho off-road-ready look harkens back to the first Jeep truck: the Willys-Overland of 1947. It’s a refreshing alternative to the street-friendly looks of the Ford Ranger and GM Canyon or Chevy Colorado. And that Jeep DNA also ensures it is a worthy off-road challenger to Toyota Tacoma, which has ruled the ruts for years. 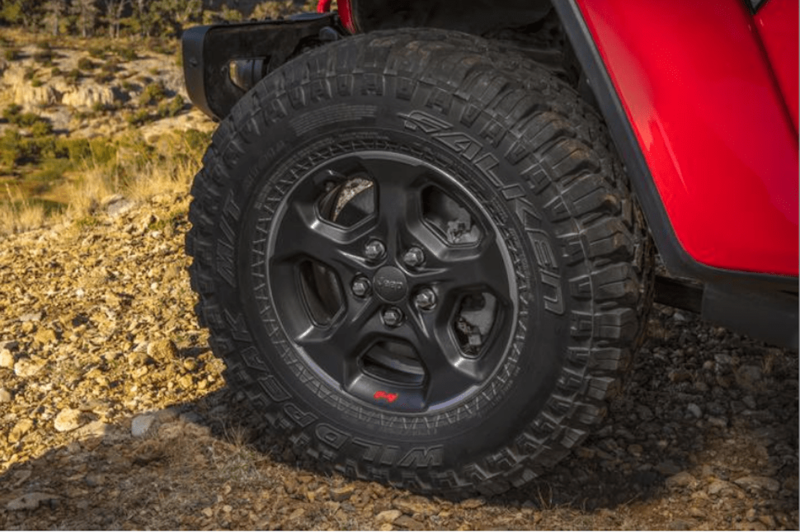 How much does the new Jeep truck cost and what are the trim levels? Like the new Wrangler, the Gladiator comes in Sport S, Overland and Rubicon trim levels. 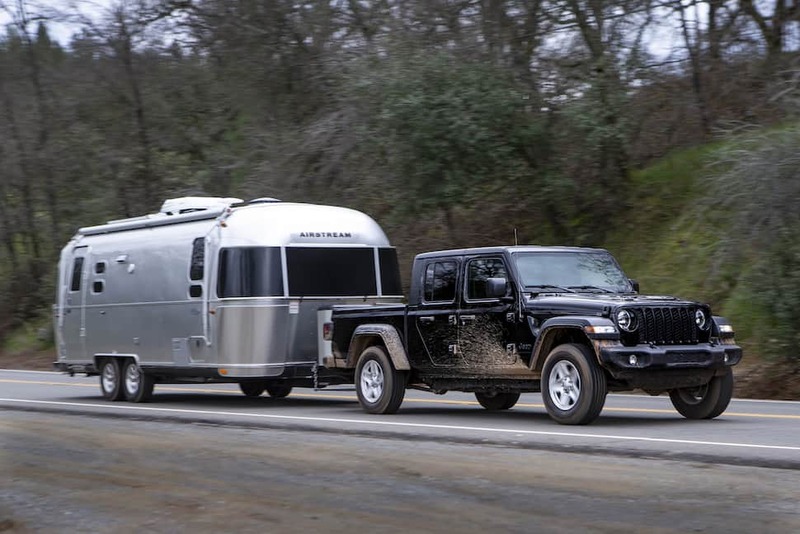 In the US, the entry-level Gladiator Sport goes for $33,545, the Sport S for $36,745, Overland for $40,395, and adventure-ready Rubicon at the top for $43,545. Tack on $1,495 for destination charge. Each trim level in Canada is about a $2,500 premium over the Wrangler version, putting a price range at C$45,495 to C$52,495, plus $1,895 destination charge, when equipped with the six-speed standard. Then there’s the special edition Gladiator Launch Edition, but this one sold out in a day. It has Jeep’s familiar seven-slot grill (widened for more air flow) and retro-looking round headlamps, rugged four-wheel drive mechanism, and a gear ratio that will crawl over just about anything you throw at it. Fittest of them all is the top-end Rubicon, which adds 33-inch Falken Wildpeak M/T tires, locking front and rear differentials, and sway bars that unlatch with the touch of a button. It also has Jeep’s removable doors, convertible roof and a windshield that flips forward with the release of four bolts. At five-and-a-half metres, the Gladiator is a full 76 centimetres longer than the Wrangler. The wheelbase is also 48 centimentres longer, limiting its breakover angle to 20 degrees but providing a surprisingly smooth ride on paved roads. Some of the extra length has been used to provide an extra eight centimetres of legroom in the back. Speaking of the back, the lockable storage compartment underneath the seat is handy for days at the beach when you want the top down and the doors off. You can even bring along the optional Bluetooth speaker that fits nicely into a charger behind the seat. The high-strength steel frame is all new, as is the beefier axles. The rear suspension’s control arms and track bar are taken from the Ram 1500 pickup truck. Generous use of undercarriage bash plates protect the Gladiator from the roughest terrain. To keep the vehicle curb weight down to about 2,100 kilograms, Fiat Chrysler added used aluminum extensively in the doors, hinges, hood, fenders and tailgate. Electrical components are located high enough that the vehicle is able to ford streams 75 centimetres deep. Flooded cab? No problem – the floor has those handy drain plugs to get rid of the water. Rubber sealed electronics are also water resistant, for those days when you forget to flip up the top and get caught in the rain. 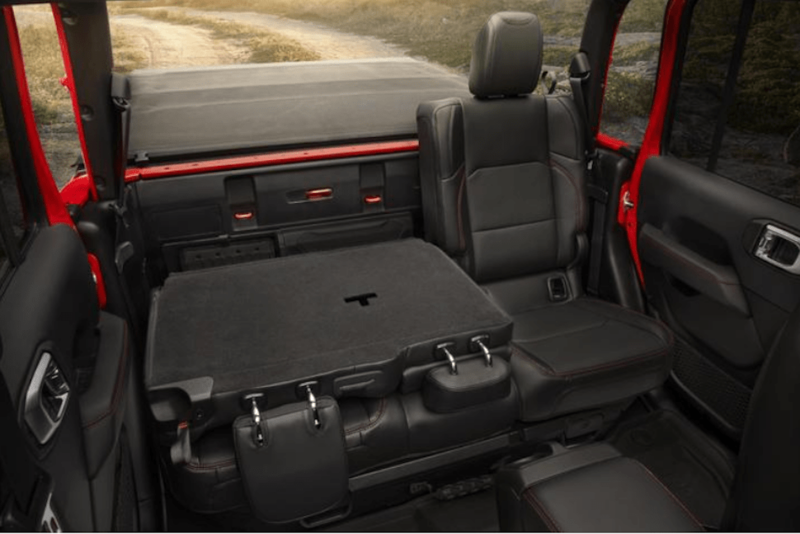 Power & Performance: How does the Jeep Gladiator handle on the road? One thing the Gladiator shares with its domestic competitors is how pleasant it is to drive, driven by Fiat Chrysler’s ubiquitous 285-horsepower, 3.5-litre V6 engine (a 3.0-litre turbo-diesel is coming in 2020). This Jeep can tow a category-leading 3,470 kilograms (in the optimum configuration), and carry a payload of 726 kilograms, all in relative quiet at highway speeds. Some ill-fitting seals, however, allowed the optional hard top to produce as much wind noise as the standard rag top. Mileage is respectable: The option eight-speed automatic achieves 13.7 city; 10.7 hwy; 12.3 combined, and the six-speed standard is rated at 14.3 city; 10.4 hwy; 12.6 combined. Dozens of safety and convenience features include optional hands-free communication and nav features, blind-spot warning, adaptive cruise control, and stop/start for fuel savings. Off-roaders will love the optional front-mounted camera that lets drivers see over the hill ahead – and, yes, it comes with a one-button washer to keep it clean and clear. The Gladiator’s looks are an acquired taste. From the side profile, it initially looks quite awkward. Some of that could be lack of familiarity. When you load it up with some of the great Mopar upgrades, and Thule bikes racks, it takes on its own form of beauty. If you prefer a more urban-friendly look, don’t despair. There are rumours that Fiat Chrysler will produce a new Dakota in the same factory that produces the Gladiator in Toledo, Ohio. Buy why wait? The Gladiator is here now, and is sure to remain in hot demand. In the U.S., as mentioned earlier, a launch edition sold out in less than 24 hours. This weekend warrior work of art is on its way to dealers now. Hit up the official Jeep Gladiator US site and Gladiator Canada site to get more info. Doug Firby serves as Associate Director of Communications, Media and Marketing at Sunshine Village Corp. Mr. Firby joined Alberta's most popular ski and snowboard resort after a three-decade career in newspapers across Canada. He was with the Calgary Herald for seven years, as Editorial Pages Editor and later as Editor, Digital Content Development. He has a degree in journalism from London's University of Western Ontario, and has taught journalism at several post-secondary institutions, including Mount Royal College.